Yesterday, Saturday, was the day of the big Stonewall-Trans meeting in London. The briefest bit of background is in order for those who are not engaged in LGBT politics, or who are reading this in ten years time and don’t know what the fuss is about: Stonewall UK are an LGB organisation, not an LGBT organisation. Historically, this has caused problems. But Stonewall is under new management in the form of Chief Executive Ruth Hunt, who is keen to work with the trans communities and build bridges. A few of us have worked with Ruth from when she was the number two at Stonewall, and knew her to be approachable and someone we could work with so we were not walking into this completely blind. Any closer working with Stonewall is also not about services. Stonewall do not provide individual support and do not pursue legal actions on behalf of individuals, except as part of a more strategic outcome. Stonewall’s modus operandi is strategic, UK-wide lobbying, research and education/training. Finally, the meeting was not about cis people. The only non-trans people present were Ruth Hunt herself, Stonewall’s chair Jan Gooding and the facilitator, Caroline. A number of cis people who were involved in (LGB)T organisations did ask to turn up but were told this was a meeting for trans folk only. Concerns have been raised over the inclusivity of the meeting. Whilst no group can ever be perfect, I can certainly say it wasn’t awful: About a two-to-one trans feminine vs masculine split, (Which is roughly representative of the trans communities in the UK) clear non-binary representation, a spread of religious beliefs and not excessively London-centric or exclusively white. There was certainly also some representation from people with disabilities and I believe intersex people, but being invisible traits I can’t say how numerous that representation was. Stonewall does also intend to hold separate meetings with PoC and other groups. 1. Stonewall becomes fully LGBT. All Stonewall’s output is LGBT-inclusive, as is all their fundraising. 2. Stonewall does “a bit” of LGBT, but also supports the community in setting up a sibling organisation. For the first year or two, this would involve mentoring, initial fundraising and shared back-office (HR, IT) resources. 3. Stonewall does not do T. Instead, they gives grants to trans organisations. There was also a number 4 on the list, which is simply “Stonewall is a better ally”. This wasn’t discussed because Stonewall have committed to do this anyway, as they feel comfortable that they don’t need a mandate just to Do The Right Thing. I shall skip several hours of discussions, in which many excellent points were raised in the various smaller groups. The quickest one sentence summary is “nobody likes option three”. (The Stonewall-gives-grants option) Many reasons were given for this but it boils down to any attempt by an LGB organisation to give grants appearing paternalistic, as well as the trouble of how LGB folk are supposed to know where money for T issues is best spent. A number of attendees with experience of small organisations obtaining grants also commented on how taxing navigating grant applications can be for such groups. Which of option one or two is best is a much harder call, particularly given that is can be viewed more as a range of options rather than strictly either/or. The positive points about option one, Stonewall becoming entirely LGBT, is that Stonewall tends to be a one-stop-shop, with large organisations focusing on LGB issues for a while before finding some other equalities issues to worry about. Despite such groups being told by Stonewall that T is separate, they don’t quite get around to thinking about gender identity but just tick the “We did LGBT!” box and move on. If Stonewall deliver LGBT rather than LGB training and include the T when lobbying government bodies, that’s immediately a great deal more than we are getting right now. The obvious drawback on that option is lack of autonomy of the trans community. Work will inevitably be focused on what LGBT needs this year and next year, not what T needs this year and next year, and trans issues can often court controversy which Stonewall is likely to be uncomfortable with. For example, there is not likely to be another LGB-centric bill going through parliament in the next decade or two so Stonewall will be less likely to focus on lobbying, but there are still a significant number of legislative changes being sought by trans people. Option two, Stonewall having a sibling organisation, gives back that autonomy. What it does lose is the commitment from Stonewall itself to carry on doing the “T” long term once it has spun off such an sibling group. It also results in the loss of the contacts and influence Stonewall has that enables it to go into large organisations via it’s Workplace Equality Index and other initiatives. The sweet spot appears to be somewhere between option 1¼ and 1¾, with a range of ideas on how that might look. Where we seem to be heading is towards Stonewall starting to do trans-inclusive work now, where “now” in such a complex organisation is more like “over the course of the next year, because lots of staff training needs to happen“. 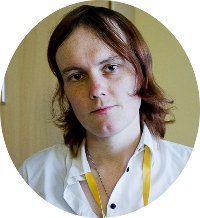 There were no concrete ideas at this stage on how this work would engage with trans people – either as employees or outside advisers, but Ruth was consistently and repeatedly clear that Stonewall will not be attempting anything without trans involvement. The inclusive work is things like education/training campaigns (e.g. Some People are Gay would have also included “Some People are Trans, Get Over It”) as well as any lobbying work and research. That leaves the trans-exclusive work which does not overlap with LGB issues: Gender Recognition Act reform, Spousal Veto, Sexual Offenses legislation, Healthcare and so on. Under a pure “Stonewall does LGBT” approach, some of this could be picked up but as it would result in a more major shift in campaigning it would not be quick, would take at least a year to get going and risks diverting some funding that existing T-exclusive organisations are already receiving. However, it looks more likely that Stonewall will help to set up a sibling trans-specific organisation to handle these issues instead. As mentioned earlier, there is still more consultation that Stonewall would like to do. They are aiming to produce a summary document in January, which the Stonewall board will look at and trans folk will have the chance to comment on further. The final report, with a definitive statement on Stonewall’s future intentions, is expected in April. I do baulk at the characterisation of Stonewall as LGB rather than G (and sometimes, if you’re lucky, we’ll remember L), but that small gripe aside, I am glad progress is being made. Also, in the last few months, both the chief exec and chair have been replaced, both are now women whereas before both were men. That can’t hurt. Stonewall support trans folk? Lol…. This is the groep who publicly asserted they did t want gay marriage before the last election – Theyve worked hard at excluding people all along – this is why they are addressing their exclusion with options. Any other group would have just sorted the deficiency ages ago.